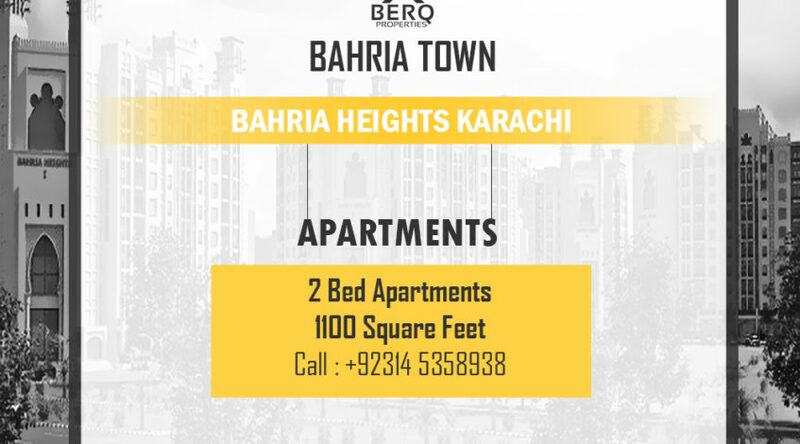 Bahria Heights is the Bahria Town Karachi’s most luxurious apartments, and now the bookings have been opened. 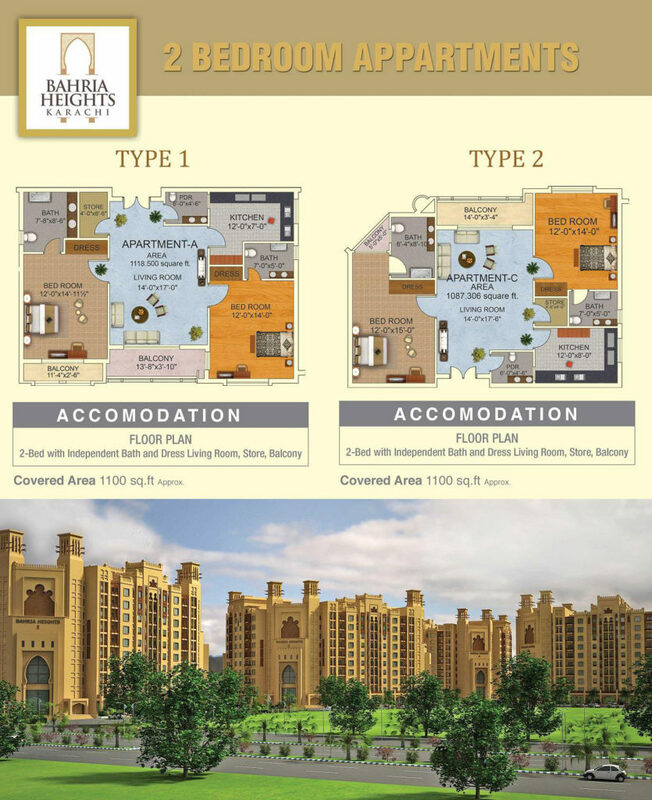 Bahria Heights are limited to 2 bedroom luxury apartments (1100 sq ft.). It has been designed on a neighborhood concept, offering a lavish lifestyle. Modern & Plush 2 bedroom luxury apartments are ideal for families. The 2 bedroom apartments in Bahria Heights has many lifestyle facilities such as commercial areas, gym, spa, restaurants, mini-golf and much more. 80 percent of the construction has been completed and the finishing is in progress. You just have to select your apartment on your desired floor. The payment plan is of 3 years, possession will be granted in 2 years and the bookings are open on the first come first serve basis. Application forms are to be submitted before 20th February 2018.